Chronicles of Nushy: [Article] Is it time for me to upgrade to Wireless 802.11 ac? 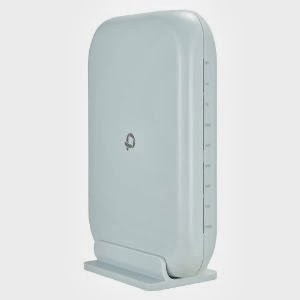 [Article] Is it time for me to upgrade to Wireless 802.11 ac? I was hoping that Apple would bring 802.11ac support to iPhone 5S, but that didn't happen. I currently don't have any devices that use 802.11 ac. I have four wireless devices by the way - the two iPhone 4S's, the 2011 MacBook Air and the Dell Latitude 10 Essentials tablet. All of them are 802.11n devices. Even if the iPhone 5S supported 802.11ac, I would have to do a lot of thinking before upgrading my router to 802.11ac. It's quite a new technology and the prices of the routers are sky high (at least the prices of routers made by good manufacturer. They are all well over $100. Not worth it, IMO. I mean, the 802.11n speeds are quite enough for what I do with those devices. For downloading and heavy duty stuff, I have the Desktop which has a much more reliable 1Gbps connection as it is wired. 802.11ac would reach and even exceed those 1Gbps speeds attainable with my wireless LAN connection. That's quite an amazing feat actually. But still, it is wireless, which means it will still have a high latency. For downloading and surfing the internet, and even streaming video (except when jumping here and there in time) it would be fine. Well, more than fine, in fact. But the current prices negate the advantages. Besides, the current devices are all first generation devices and they will inadvertently have issues. However, I should note that my current 802.11n router doesn't support dual band (2.4GHz/5GHz) so it is not running at 802.11n's peek bandwidth. I was a fool a not check if it supported dual band at the time of purchase. Plus, the USB port only let me connect a disk formatted as FAT32. That functionality is also not useful to me anymore. Maybe by "fixing" those issues I would get a better experience than switching to a 802.11ac supported router. I'll probably switch to 802.11 ac in December 2014. You'll know what's so important about that day in a year or so. Just for fun and giggles, I checked out the prices of 802.11ac routers on Amazon (JPN) and came across a cheap router made by Planex. That is not a very good brand so you don't know how soon that will crap up on you. Besides, it is only designed according to the 802.11 ac (draft) spec. Well, I'll stick to my original plan.